Nowadays, there are so many parenting styles and terms that one comes across that it can turn out to be pretty confusing pretty soon. For new parents or for that matter even old ones, we are always assailed by the doubt and question if we are doing a good job of raising our children. Am I being too harsh, am I being too lenient, should I chastise my child if he/she pushes others to get his turn on the slide or should I just brush it off as childish behavior which he will outgrow soon enough? Should I discipline in public or should I wait for a more private time? So many questions and so little time really to contemplate all of them and find our own best solutions. All of us are looking for answers, the “tips & tricks”, the right way to parent our child right – from sources outside of us in the hope that we will hit the jackpot. Unfortunately, nothing can be farther from the truth. The answers all lie within us. And that is what Spiritual Parenting is all about. 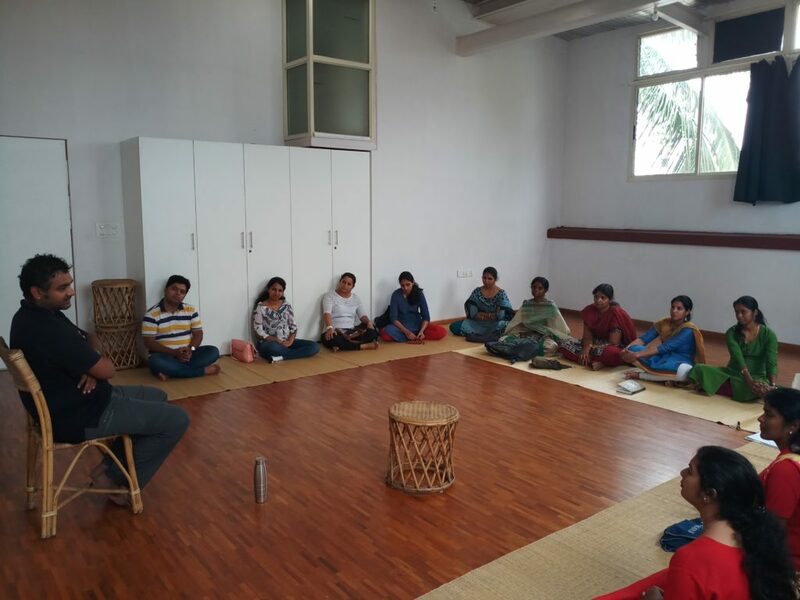 A group of 16 parents from the SwarnaPrashana parenting community came together this past weekend to explore and discuss this very topic and find deeper answers to the questions they have been looking for. 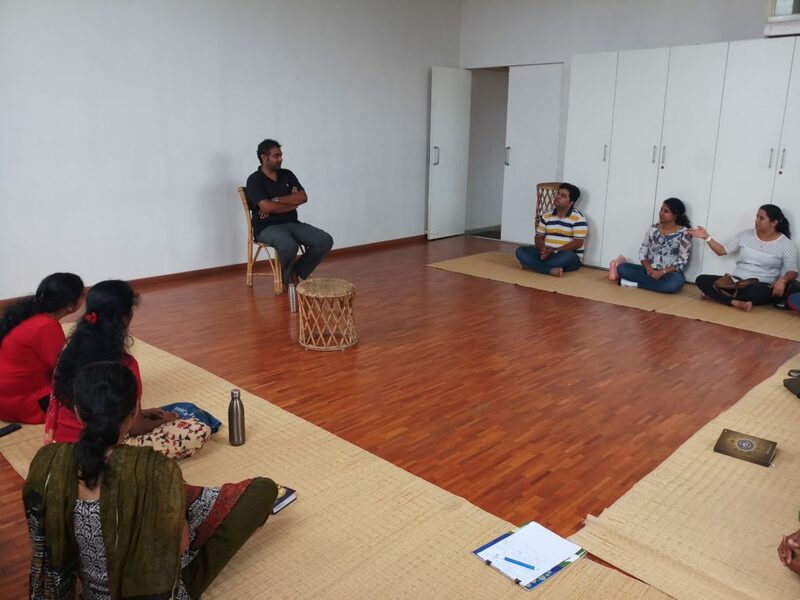 Led by Velu Jayaprakash, soul coach and founder of the community, while the 4 hours long session gave many insights and much more common guidance, it also neatly made us shine the torch back on ourselves to explore how “spiritual” and “holistic” we are as individuals before we even attempt to find out how to parent spiritually. For truth be told, children cannot be “instructed” or “advised” or even “taught” to do things – they simply observe us parents and just mimic us. If we want them to stop demanding junk, we first need to push it out of our lives. If we want them to sit quietly and read, then we need to first show them by doing it ourselves. If we want them to meditate, we first need to do it. But hardly any of us do what we demand from our children – instead, it’s easy to fall into the trap of labeling them as hyperactive, restless and so on and so forth. While these are the basics that we need to remember, it will also help to understand the different stages of a child’s life so that we may align our approach to their differing needs accordingly. In the first four years of a child’s life, the child is said to be living its mother’s karma and is under her influence the maximum. The next four years, the child is under the influence of the father’s karma and is watching him closely to imbibe his behaviors and characteristics. By the time the child reaches 8 to 10 years of age, the child’s own karma from past lives start coming alive and the child’s soul starts orchestrating different events and behavior in tune with the child’s own planned life path and purpose. As a parent, if we want to make any kind of positive impact on our child and “guide” them as we seem to think we can, then the first 8 years is the only time we have (give or take a few years). As mothers, we play a crucial role in shaping their character in the first four years and as fathers, we knowingly or unknowingly hold the power to change them in the next four years. And the only way we can bring about any of these changes we may desire is to first bring it on ourselves during these critical years. We need to take a hard look at our own actions and reactions and alter them accordingly. And that, parents, is also one of the most important things to understand in parenting. Every time your child behaves in a certain manner, you can be rest assured that he or she is doing so only because you yourself have been a cause of it. If your child is throwing a tantrum and demanding your attention, then perhaps you have not been spending enough quality time with him/her. If your child is really testing your patience, then perhaps they are simply being your teacher to help you to cultivate more patience. For, as much as we think we need to parent and teach our children, the children are as much our teachers and guides in this life. The crux of spiritual parenting is to simply realize this essence – that parenting is an opportunity that the child has given us to make ourselves into better individuals, the rest of it all including our ideas of shaping and molding our children is just – our ideas! These are but some of the wisdom that we shared in the Wisdom Nest meeting along with going into the basics of holistic living (If you have been part of the WhatsApp community, you will be knowing most of it by now. If not, do peruse through some of the other blogs to read about it in detail). We also went through a wonderful soul meditation session at the end of the meet, thanks to Velu. It was a very sublime and deep experience for many of us. We all unanimously wished we could extend the meeting some more and spend more time with the other like-minded parents but alas we had to move out of the venue. Do attend or take the initiative to organize the next Wisdom Nest meeting in an area near you, I am sure you will thoroughly enjoy coming together as a community physically. In an endeavor to share more of the ancient wisdom and knowledge, we will be organizing more such events at different places across Bangalore and other cities in India in the months to come. 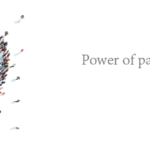 As more parents come together to take part in these meets, our aim to increase the collective knowledge we hold as a group and in turn publish these findings and discussions for the benefit of all. 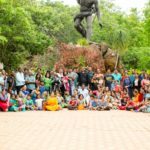 This was the second Wisdom Nest meet organized at South Bangalore. 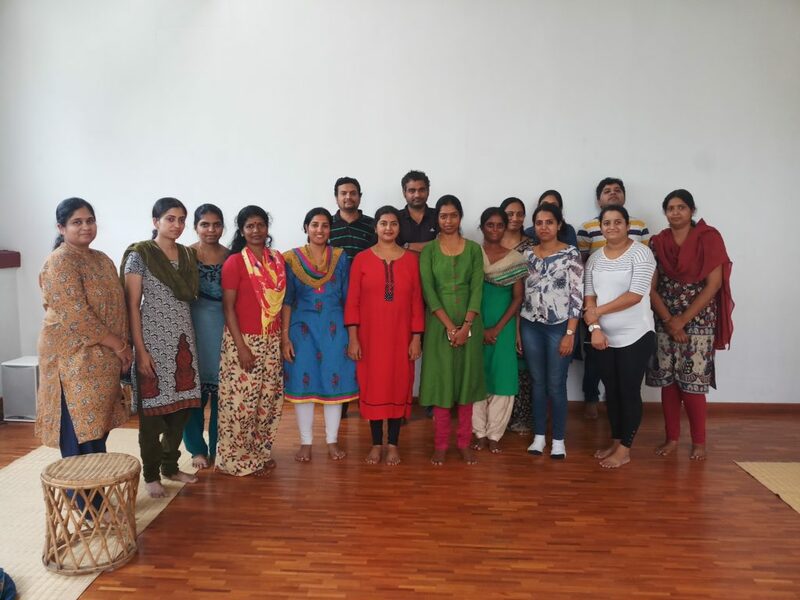 The first Wisdom Nest meeting happened in North Bangalore at Kalyannagar. Read more about the first meet here. 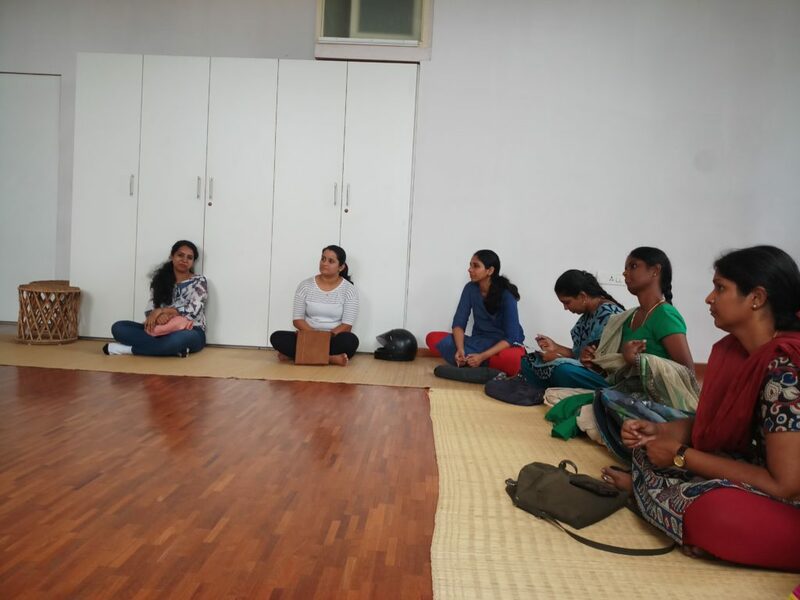 If you would like to organize a similar meet in your area/city, open to both Swarnaprashana parents as well as others outside the community, please do contact Velu Jayaprakash. Next Next post: 9 lessons from Aarohi Life Education that are game changers.